As he heads south to pledge his loyalty to the Ffreinc conquerors, King Brychan of Elfael is instead killed along with his entire warband. His son, Bran, the rightful heir of Elfael, finds his country and throne stolen from him. When even the law of the land seems to be against him, is there a way for Bran to reclaim his throne and protect his people from the Ffreinc? 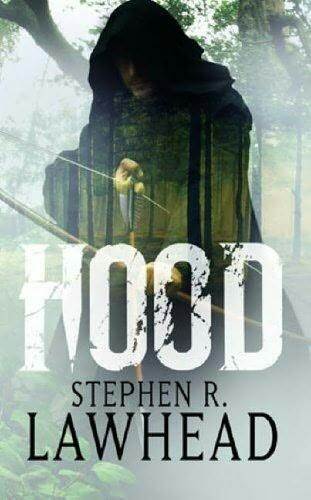 I thought the concept of the book was interesting, taking the story of Robin Hood and changing the historical setting, from the time of Richard the Lionhearted to the time of the Norman conquest of England. I think this isn’t the first book I’ve read with this concept. I can’t remember a lot of the details about the last book (like the title or the author), I just remember not liking it. And while I liked this book, I felt it was mostly build-up to a bigger story. I didn’t like that more than half of the book was spent on getting the character of Bran to take on the role of “Robin Hood”. I also didn’t like that a whole lot of pages were spent on a story being told to Bran. I know the point of the story was to get him to see the duty he had to his people, but that’s a lot of pages wasted on a story that holds no other real importance to the main narrative of the book. When it comes to the characters, even though I wanted Bran to come to his change of heart faster, I do think the author did a good job with showing him as a somewhat selfish prince who has to mature quickly to take responsibility for his people. His actions at the end of the book, while done in understandable anger and frustration, were exasperating, however. I liked the conflict in the character of Merian, though I am not a huge fan of the epic, destined love story that is Robin Hood and Marian in most stories. Of the main Ffreinc antagonists, I thought Neufmarche was written better, with more subtlety to his plans, while Falkes de Braose was a little more the stereotypical villain.